This rider has little muscle down her back and legs – so she can support herself side to side, but not front to back (if she falls forward she must use her hands to catch herself). Therefore she needs a horse with lateral movements, not anterior/posterior. This rider normally uses the strings on the western saddle to encourage the horse to move forward. Sandy suggested in the future teaching her to use a crop as a way to support her leg aids. The barn said they tried this in the past but the rider didn’t like it, as she likes to have her hands prepared to catch the horn in case she falls forward. We discussed it takes more effort to turn and use the strings than to flick your wrist for the crop, although the crop is something staying in your hands. They agreed that since the last time they tried the crop, the rider’s balanced has improved enough that they might try it again. The rider normally uses neck reining so she can keep one hand on the horn as needed. Sandy suggested they switch to direct rein steering because it keeps symmetry in the trunk, improving balance and core strength. The riders will perform a leg yield in walk 2 times in each direction from the quarter line to the wall with assistance as needed. Rider 3, Grey Horse, Western saddle and stirrups with seat saver, Split western reins with snap center, Leader for warm up and trot, SW1 for safety, no SW2. Hand each rider two rings or inside and outside. Leg Yield is a lateral movement where the horse moves both forward and sideways away from the pressure of the rider’s leg. When done correctly, the horse’s legs cross and the shoulders and hips of the horse remain parallel. 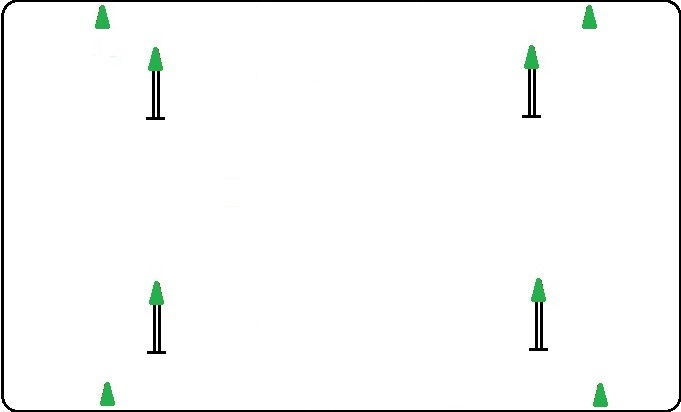 The horse moves in the opposite direction of the bend. (Because these were adults and fully cognitive, this was explained in detail). Suppling exercise for the horse which loosens up their hips, rib cages, and shoulders. Makes the horse more obedient and in tune to the rider’s leg aids. 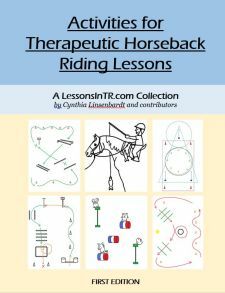 Look ahead and where you want your horse to go – your weight acts as an aid by shifting the direction you are looking over that seat bone in the direction you want to go. Apply pressure with inside leg at the girth, with a push and release action. Open the inside hand to ask your horse to be in flexion. Half halt as needed with the outside hand to maintain a steady pace. Slide the outside leg behind the girth to guard in case the hindquaters move over too quickly. Turn at the quarter line by the vertical pole. Look to the cone on the rail. Ride from the quarter line diagonally to the rail. What is a leg yield? 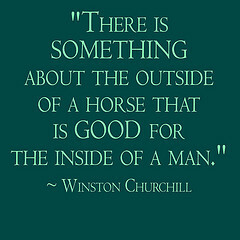 What are the benefits to the horse? To the rider? Why might you need to know how to leg yield to enhance your level of independence as a rider?